A leader will naturally lead the way he/she wants to be led based on his/her motives and values. This works well if the person one is trying to lead shares similar values, but is highly frustrating for both the leader and the follower if they hold opposite values, which is highly likely. Knowledge of both one’s own values and your follower’s values allows the responsible leader to appeal to follower’s needs/motives and values so that the follower is motivated to follow the leader’s vision. The reason people tend to follow is the leader’s vision matters to the follower and satisfies one or more of his/her needs and therefore the follower values the vision enough to be motivated to follow. How does a leader discover his/her values and his/her followers’ values? Reiss Motivation Profiles® (RMP) are the most effective means of understanding the sixteen common human motives/values. Both leaders and followers can complete RMPs and then compare results. 2) “Seek first to understand then to be understood.”-Dr. Stephen R. Covey. We always observe and interpret others’ motives through the lens of our own values. This naturally flawed method of motive evaluation is not accurate nor predictive of others’ motives/values and behaviors. We try to put ourselves in other people’s’ shoes to understand why someone behaves a certain way and we end up disguising our own values in their clothes which often do not fit and wearing our own shoes. We understand why we might be motivated to behave the way someone else behaved in a situation, but we are never sure why they were actually motivated to do so. This leads to a leader’s frustrated and true exclamation, “I DON’T KNOW WHY SOMEONE WOULD EVER DO THAT!” The leader doesn’t know why someone would behave the way they behaved because the leader’s value lens blurs the observation with the leader’s natural value’s blind spot and prevents the leader from being able to understand why someone might be motivated in an opposite way than the leader. RMPs allow leaders to greatly increase the level of motivational and values-based behavioral understanding of both themselves and those they lead. Knowledge of followers’ RMPs allow leaders to more accurately predict followers motives and values. The reason someone behaved the way s/he chose to behave is s/he was motivated to do so. RMPs are the flashlight to shine insight into one’s motives blind spots. Understanding one’s motives and values and those of one’s followers is critical to be an effective leader. 3) Dix’s 1st Law of Motivation: How you feel about what you do ultimately motivates you more than how successfully you do it. Feelings matter and impact decisions and behaviors. Leaders ignore and minimize the role and impact of emotion at their own peril. Logic is not a very strong motive. At the 2012 World Society of Motivation Scientists and Professionals Conference in Washington, D.C., one esteemed presenter forwarded the concept that humans are all drug addicts. We are motivated to think and behave in ways that release the most desired, naturally produced neurochemicals in our brains. 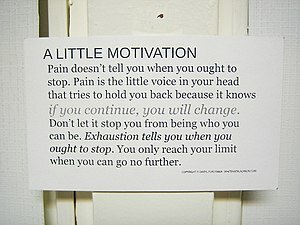 We do what feels good and do it again and again to get our internal neuro-fix. Emotions are an indicator of our needs. There is truth in the saying, “If it feels good… do it.” We may rationalize many behaviors, but ultimately we are motivated to satisfy our greatest needs and when we do so we feel good. When we deny our needs, we feel frustrated or worse. We are motivated to do more of what satisfies our greatest needs even if we are not particularly effective nor successful at doing the actual task. This is why there are so many happy enthusiasts, hobbyists and armatures. They are in active pursuit of their bliss and enjoying the neurochemicals payoffs of satisfying their needs. Leaders who understand the emotional side of motivation can understand a more complete picture of the dimensions of human motivation and can then lead from the heart as well as the head. Leaders who seek to master values-based leadership must strive to lessen the natural tendency to view others’ behaviors through the leader’s value lens. The leader must use valid, unbiased information on followers’ motives to genuinely understand and predict their behaviors. The Reiss Motivation Profile® is the proven tool to provide this level understanding and insight into motives/values. These three rules are the first steps to effective values-based leadership (VBL). VBL can be highly effective to unlocking the full potential of both leaders and followers and lead to new levels of sustainable performance. 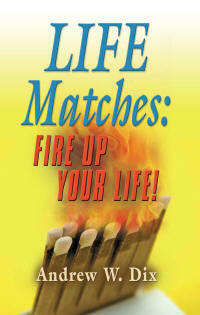 If you would like to obtain your Reiss Motivation Profile®, contact me at andy@lifematchesbook.com. Are you trying to change your natural needs, wants, desires, values and/or motives or simply a learned habit that is not performing well for you? Changing a habit is much more likely to be successful than changing your need for the 16 common human motives as measured using a Reiss Motivation Profile®. Natural needs/motives/values do not tend to change much as humans age. Habits are often not easily changed, but are more likely replaceable. You may have developed a habit as a way to easily get one or more of your natural needs satisfied. If so, it will be very frustrating to change the habits unless you are able to figure out an alternative way to satisfy those same needs. Get Past the ‘Crunch Point’ – The Key to Changing Behavior. If you would like to discover your natural motives, contact me at andy@lifematchesbook.com to schedule a Reiss Motivation Profile® and personal telephone consultation. 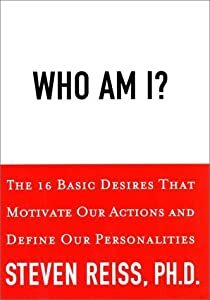 You may also read, “Who Am I?” and “The Normal Personality: A New Way of Thinking About People” by Dr. Steven Reiss, Ph.D..